Thank you to everyone who made the trip to Reno this year! I hope you had a great time as we shot through thousands of rounds of ammo and raised just shy of $2,000 for the Honored American Veterans Afield. We hope to have more in the days and weeks to follow but until then, here's a great video that Aaron Woodin put together showcasing this year's GBR! GBR11_2016 from Aaron Woodin on Vimeo. When it comes to the stuff you need but never quite have enough of, ammo seems to always be at the top of the list. That's why we're grateful that AmmoToGo.com played a part in helping put this year's Gun Blogger Rendezvous together with a donation of some 9mm ammo for the range as well as a number of pocket knives for the HAVA raffle. Both the full metal jacket rounds and the knives will be part of the door prizes and raffle to benefit HAVA on Saturday evening of this year's Gun Blogger Rendezvous. AmmoToGo.com is an online ammo retailer that carries a full line-up of calibers and accessories. To learn more about them, head to their website at www.ammunitiontogo.com. For the second year in a row, the Gun Blogger Rendezvous would like to thank CigarsCity.com for their support of the Rendezvous and Honored American Veterans Afield. CigarsCity.com is an online cigar shop that features a wide assortment of premium cigars as well as accessories with free shipping on all orders over $99. This year, Cigars City sent a cigar humidor along with a sampler of five premium toro cigars from My Father Cigars. Both the cigar sampler and the humidor will be part of the HAVA raffle on Saturday evening. We'd like to extend a big thank you to CigarsCity.com for their support of the Rendezvous and hope to see you in Reno in just a couple days! A big part of helping the Gun Blogger Rendezvous go off without a hitch is the role that our sponsors like Ruger play. Ruger, in particular, has been very kind to the GBR over the years and GBR XI is no exception. Ken from Ruger sent over a number of great prizes to be included in the raffle and some door prize items as well. The backpack style bags are very high quality and there's a duffle included that could serve as a nice range bag or just serve as a supplementary holder for your gear. It's still not too late to get involved and head to Reno for this year's GBR. If you're interested, registration is still open and there are a few slots available. We'd love to have you join us! The Gun Blogger Rendezvous wants to extend a huge thank you to MKS Supply and Hi-Point Firearms for their incredibly generous support of this year's Rendezvous by donating a Hi-Point Carbine! As part of this year's raffle to benefit Honored American Veterans Afield (HAVA) GBR attendees will have the chance to win a 995TS 9mm carbine. A just a shade over 6 pounds with a 16.5" barrel, the carbine has fully adjustable sights and comes with weaver style rails. Thanks again to MKS Supply - one of the great sponsors that make the Gun Blogger Rendezvous such a unique event among the online shooting community! Remember, Rendezvous registration is still open. If you've already registered, expect to receive an email with your $150 ammo voucher in mid-August along with more details about the schedule for the weekend. If you haven't signed up yet, registration is just $35 - which gets you several free meals and $150 worth of ammo at Lucky Gunner. Register here today! We'd like to extend a big thank you to the first confirmed sponsor of this year's Gun Blogger Rendezvous, Dillon Precision. Dillon was kind enough to lend their support and a new ammo bag that will be included in this year's raffle and door prize giveaway to benefit Honored American Veterans Afield. If you're not familiar with Dillon, they make some of the most respected reloading equipment available to U.S. shooters. You can check them out online and if you're not already a subscriber of to The Blue Press, their catalog, you're definitely in the minority among American shooters. We'll be publishing more details in the coming days and if you haven't already, it's not too late to sign up for this year's Rendezvous. Most meals are covered along with a $150 gift card courtesy of Lucky Gunner with your $35 registration fee. For more details or to register, head here. Sorry for the delay in getting this video cut and posted. I was working with a decade old video editing machine that had to be replaced! If you were at Gun Blogger Rendezvous X, odds are good there's at least a clip of you in the video highlight reel below. Hope to see you in Reno in a couple months! If you haven't already registered, be sure to get your registration in this week to take advantage of priority reduced rates for Gun Blogger Rendezvous XI! For $35, you'll get most meals, a $150 ammo voucher from Lucky Gunner with free shipping to Reno as well as other refreshments and some of the range fees paid over the weekend benefitting HAVA. Head here to register today! If you haven't received the email, Gun Blogger Rendezvous Registration for 2016 is now open! Head here to register today and if you're registered by June 1, you'll get $150 worth of ammo from Lucky Gunner. Plus, they'll kick in another $10 to HAVA for each registrant. We'll start this year's Rendezvous on September 8 and we'll go through Sunday on September 11. Mike and I have looked over all the survey responses as well and have some things in the works for this year that should allow us to bring in some of the events that scored highly in the survey. As usual, the majority of the non-shooting events will take place at the Silver Legacy. We have special group rates that you can get by booking with the group code "GBlog16". To get the group rates, you will have to call 1-800-687-8733. (Sorry, they can't accept our group discount online). As always don't hesitate to drop Anthony a line (anthony@luckygunner.com) or hit up Mike (Mr Completely) with any questions. We're looking forward to seeing everyone in just a few months! Anthony here with a quick update following this year's SHOT Show. 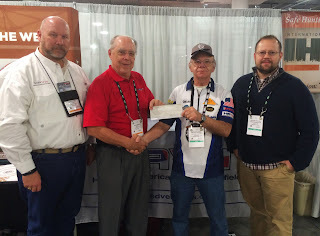 Mike and I had the chance to talk briefly with a couple representatives from HAVA (Honored American Veterans Afield) and present them with the check for $2794.80 from 2015's Gun Blogger Rendezvous. As you'd imagine, HAVA was very appreciative and passes along their thanks to all the gun bloggers who made the contribution possible. Since the conflicts in the Middle East and Afghanistan have started to wind down, they've said their job helping veterans has gotten more difficult. They're seeing increased expenses related to travel as they work to get in touch with servicemen and women who have returned home who could benefit from all HAVA offers. It's hard to believe but we're only about 8 months away from the next GBR! If you haven't, mark your calendar today for September 8 - 11! Thanks to everyone who made the trip and supported us! 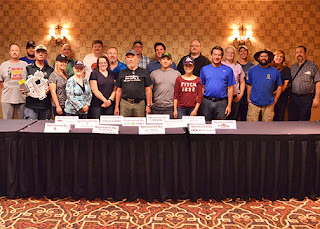 Through the raffle and a kicked in donation from registration fees by Lucky Gunner, Gun Blogger Rendezvous X raised nearly $3,000 for Honored American Veterans Afield! GBR X survivors on Saturday evening. A total of 25 registered attendees took part in the 10th annual event. Congrats to everyone who participated and thank you to everyone who spent the weekend shooting for a great cause. Richard Brengman of Special Interest Arms brought a wealth of knowledge to GBR X as well as a number of firearms many of us have never had the opportunity to see before. That included a Gardner Gun, numerous fully automatic firearms. Going even farther, Richard even donated an AR-15 lower for the raffle. Springfield kicked in a big box full of things like t-shirts, coffee mugs, pilsner glasses, t-shirts and flags for the raffle and door prize drawing, helping support the Rendezvous and HAVA. Ruger sent some Under Armour and Nike bags that were included in the HAVA raffle. Also, they sent some hats and coffee mugs that were included in the door prize drawing. Thanks to Ruger for donating some awesome bags and coffee mugs for GBR X.
Mitch Gerlinger from MOA attended and contributed pistol spinner targets, rifle spinner targets, a target stand and some scaled down NRA-style steel targets for the HAVA raffle. Mitch Gerlinger shares some info about MOA Targets with the group. CigarsCity.com donated a humidor and cigar sampler for the HAVA raffle with a lighter and cigar cutter. The Diesel cigar gift pack and humidor CigarsCity.com supplied. Self Defense Association donated a platinum membership package worth $250,000 in protection. Dillon once again donated a range bag for this year’s door prize table as well as some hats. The team at Allchin was very generous with a number of Ruger scope mounts and Browning Buck Mark base pads. The NSSF was kind enough to pick up the tab for Saturday night’s pizza feast. Robert addresses GBR X attendees just before Saturday's pizza dinner. Target Barn donated a number of targets for door prizes and provided the IDPA targets that were used as part of the ISSA indoor competition on Saturday. Target Barn provided the IDPA targets that served as the base for the ISSA indoor plates. Brownells donated one of their new ESG range backpacks and a slew of .308/7.62x51 magazines for the HAVA raffle. Also, they were kind enough to send enough lubricant for everyone to get a pack or two. Burris donated a very niceAR-F3 optic that was a featured part of the HAVA raffle. Front Sight donated a four day training course that was included in the HAVA raffle. Jaci and Sig Sauer donated about a dozen Sig hats and keychains that were included in the door prize giveaway. Bill brought in some ghost ring sights that were included as door prizes. The folks at Reno Guns were kind enough to hold our shipments for us again this year. Also, they provided us a discounted rate for range use and the scenario simulator on Sunday. A look inside the brand new indoor range at Reno Guns & Range. Again, thank you to everyone who participated, sponsored or just watched from afar. 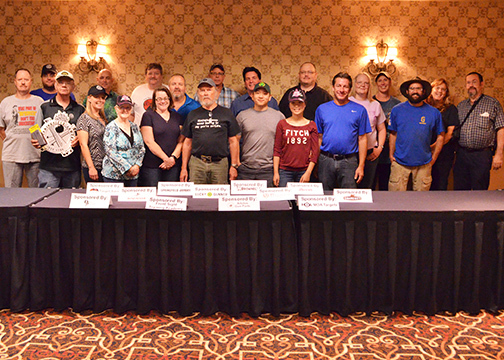 We're already making plans for Gun Blogger Rendezvous XI and will have more details on next year's event in the coming months. Until then, look for a few videos of this year's event - including the Gardner Gun's trip through the Silver Legacy casino floor in the next few weeks! Just received word, Self Defense Association is stepping up with a nice sponsorship of the Gun Blogger Rendezvous this year benefitting Honored American Veterans Afield (HAVA). SDA is offering up a year of Platinum Membership as part of the HAVA raffle. Their Platinum Membership provides $250,000 of protection should you need to protect your family in a self-defense situation. The plan provides criminal, civil, and bail bond coverage. In addition to that coverage, Self Defense Association has a number of other benefits it provides to its members, including instructional DVDs on shooting and training techniques to discounts on gun-related gear and even rental car discounts. Thanks to Robert Messenger for getting them on board and we're thrilled to have another sponsor of the Rendezvous! 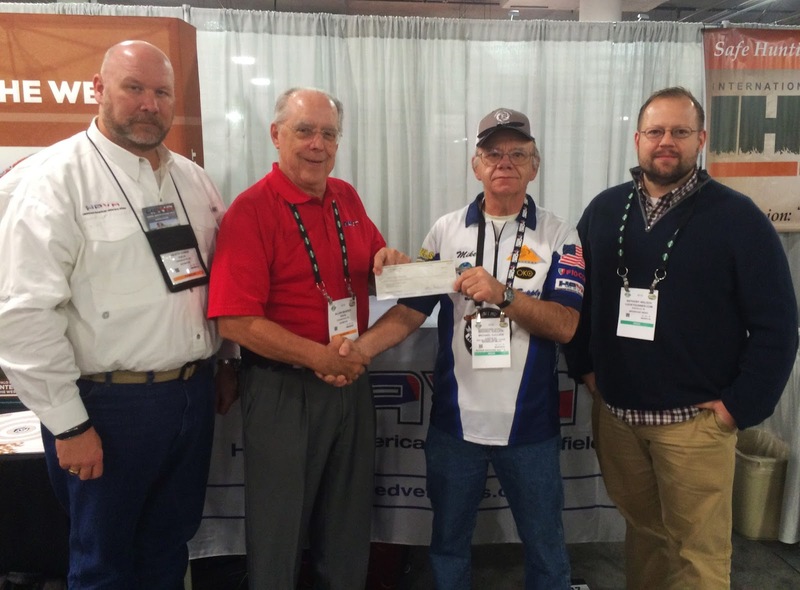 More good news - Brownells is on-board once again this year as a GBR sponsor! 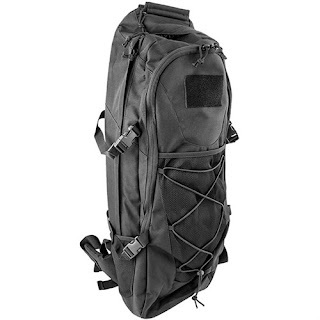 33" ESG Backpack from Brownells. Roy Hill just confirmed they're sending one of their new ESG Backpacks to Reno that somebody will be lucky enough to go home with. The bag itself accepts a handgun and mags as well as collapsable-stock AR-15 and magazines. Check out the video below for more details. Also, Hill said some of the new Brownells .308 AR magazines are headed west to Reno Guns & Range; Plus, there should be enough oil samples to go around. Thanks to Brownells for once again helping support the GBR and HAVA! We're about 10 days away from the start of this year's Gun Blogger Rendezvous! Just received word from Richard at Special Interest Arms - the Gardner Gun got a little work in today and there don't seem to be any kinks left in the system. So, make sure your arms are ready to give it a crank next week! Richard was kind enough to send over the video below. If you haven't already, be sure to get your ammo order in today so we can ensure it's loaded up with everything that's making the trip west! The good folks at Ruger are once again showing their support of Honored American Veterans Afield and the Gun Blogger Rendezvous. We're just two weeks out! If you haven't signed up for this year's Gun Blogger Rendezvous, there are just a couple days left to ensure your ammo makes it to Reno in time for the event. Sign-up here and get yourself registered for an outstanding weekend with fellow shooters! Also, if you're headed to Reno, be sure to book your room at the Silver Legacy if you haven't already. Use the group code GBLOG15 to get reduced rates! Ammo Vouchers Sent & Thanks to Burris! Once again Lori and the team over at Burris has stepped up with a very generous donation for the HAVA raffle. 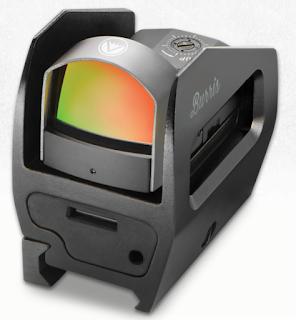 Burris Optics AR-F3 Red Dot Sight. Lori confirmed this week they're sending a Burris Optics AR-F3 Red Dot sight. This will be included in the raffle on Saturday night. Thank you Burris Optics! We have a number of other raffle prizes that will be included as well so it should be a decent showing with some great stuff to benefit a very worthy cause. Also, ammo voucher gift codes were sent out today via email. If you haven't received an email to the address you used when registered at Lucky Gunner, please check your junk mail folder. If you don't see it there, feel free to contact me (Anthony) directly via email. I will be sending printed packets later this week with the information again so hopefully we'll have all our bases covered in that regard. I hope you're ready for a great weekend. I spoke with the Rangemaster at the Washoe County Range late last week and he says they're ready for us so it should be a great time! Not planning to run it (the Gardner Gun) for hours at a time, just burst, so no need to deal with water for it. Going to need help getting it into the hotel after the range for the show and tell too. Some one needs to follow with a camera, the looks on tourist faces as we wheel a Gardner Gun along the casino floor should be priceless! I'm also planning to bring the 300 BLK Trecenti again and the new 9mm Novem bolt action. If you want to find out just how good your 9mm suppressor is bring it and the ability to put it on 1/2-28 threads. Eliminating the action noise really lets the suppressor work. Probably bring the AK-47 FA and suppressed FA 9mm AR-15 too. Might even drag out my old .303B deer rifle for the long range targets. I will try to get Brian to come out again and bring his De Lisle and other suppressors to demonstrate too. He's been in the NFA game for decades and has a lot of interesting stories if you can get him to take time for a real interview. Hint, ask him about how you get a demo letter for a post-sample Mini-Gun. I heard back from our purchasing folks today. It sounds like getting some 45-70 in bulk quantities shouldn’t be a problem so I’ll plan to ship 1,500 rounds or so west with the rest of the ammunition orders. I’ll talk with hotel management and ask if they have any special requests for getting the Gardner inside. If some open carried AR’s at a Chipotle can create national news I can’t imagine what a Gardner on a casino floor would do! I doubt Richard will want to run 1,500 rounds through his $24.500 floor sample. I doubt Anthony wants to ship any ammo HOME, so bring your Trapdoor Springfields, Marlin 1895's and other guns! C'mon, all we need is some strong backs and willing hands! Still Time To Register for GBR X! It's going to be a great weekend benefiting a very worthy cause... with a lot of rounds down range! We're about two months out from GBR X benefitting HAVA (Honored American Veterans Afield) and if you haven't registered, time is running out! If you've waited to register, for the next week you can take advantage of early-bird registration! Remember, if you're a gun blogger and you register between now and June 17, you'll get a $150 ammo voucher good toward anything Lucky Gunner sells. To register, head here --- where else can you get that kind of ammo for your investment, spend a weekend with some like-minded shooters and help a great cause like HAVA in the process? We're already seeing support pour in from some long-time Gun Blogger Rendezvous sponsors in the form of door prizes and raffle items. Also, the National Shooting Sports Foundation has agreed to once again sponsor a pizza dinner for everyone this year. That's great news. It's going to be a great time in Reno on August 20 and the more the merrier. As always, if you have any questions please feel free to contact Anthony at Lucky Gunner or Mike (Mr. Completely)! We've had a strong start and crossed into double digits earlier this week, which is great news and should make for a fun weekend. Early registration is still open if you haven't registered. Remember, if you register by June 1, you get a reduced rate and Lucky Gunner is kicking in $150 in ammo for new media members. You can register here. We're planning to send an email to everybody who registered in the next week or so with some more specifics but I can imagine many of us are getting things in place in terms of logistics so I wanted to pass along a couple notes below. If you're planning to stay at the Silver Legacy, our group code is GBLOG15 this year. That code will get you a discounted room rate of $59 Thursday and Sunday and $119 on Friday and Saturday nights. To get the reduced rate, please call the Silver Legacy at 800-687-8733. Once again, the Silver Legacy has kicked in meeting space for us at the resort/casino so we'll have a good central location to gather each night of the Rendezvous. The good folks at U.S. Firearms Academy agreed to hold any firearms we'd like to ship in advance of GBR. They are in the process of moving into a second, larger facility in Reno. We're anticipating an address in the next week or two and we'll be sure to share it as soon as we can. Like last year, they have requested we don't ship any firearms to them too far in advance. GBR X is getting closer! If you have any questions, feel free to contact Mike or email Anthony. If you have any suggestions, don't be afraid to pass them along as well. I appreciate everyone's patience as Mike gets me up to speed on all this. Gun Blogger Rendezvous X Registration Is Open! The official press release follows - looking forward to seeing everyone this August! Gun Blogger Rendezvous X is now open for registration. The event will celebrate its 10th year of uniting gun owners, new media, firearms industry partners and other 2nd Amendment supporters this August 20 – 23 in Reno, Nevada. New media members and other shooters are expected to gather at the Silver Legacy Hotel & Casino as well as shooting ranges and facilities surrounding the area for a weekend of shooting and camaraderie for a great cause. "The Gun Blogger Rendezvous has been a project of mine for the last nine years, and it has reached the point where it needs some additional quality man power to take it to the next level,” Mike Gallion, competitive steel shooter, gun blogger and founder of the Gun Blogger Rendezvous said. “The folks at Lucky Gunner will help this year's Rendezvous to be even bigger and better than ever, and the ammo bonus makes it almost a 'no-brainer'! See you in Reno!" This year, as part of an expanded role in the event, Lucky Gunner is issuing a $150 voucher for ammunition to each media attendee who completes their registration by June 1. To register for this year’s Rendezvous, please head here. The ammo (or accessories) will be delivered to Reno the weekend of the Rendezvous for attendees to fire or save as they see fit. Registration for attendees is $35 before June 1, which will help cover the cost of refreshments, some meals and meeting space in Reno. 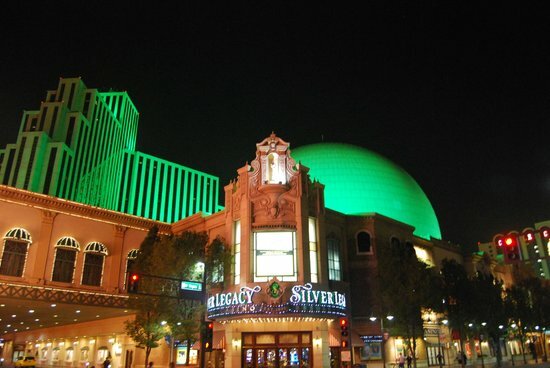 The Silver Legacy Resort & Casino in Reno is the official hotel of the Rendezvous. They’ve granted block rates for attendees of $59 per night on August 20 and August 23 and $119 per night on Friday, August 21 and Saturday, August 22. Attendees should also expect modest fees at local ranges as part of the total cost to attend weekend. There are a limited number of spots available so interested attendees are encouraged to register as quickly as possible. Once again, this year’s event will benefit Honored American Veterans Afield (HAVA), an organization that aids disabled soldiers as they transition from military life to civilian life in the United States. Door prizes, raffles and more during the Rendezvous will benefit the worthy non-profit. Plus, Lucky Gunner will donate $10 for every registrant that’s signed up to attend by June 1. Block rates for attendees are available at the Silver Legacy Resort & Casino. Full details on how to secure the block rate are available along with the sign-up at Lucky Gunner.